A few weeks ago, we were getting ready to put the final touches on the upcoming June auction when the phone rang … “Hello, I have some unopened full boxes and almost full boxes from the 1950s and 1960s that I am considering for your auction.” Well that certainly sounded promising, so I asked, “that’s great, what do you have?” He started off by telling me about a complete 1959 Fleer Ted Williams box, which certainly caught my attention, and then went into material that included near full wax boxes of 1961 Topps football five cent, 1962 Topps football and 1962 Fleer football. As he went on further (1960 Fleer baseball near full box, 1961 Fleer football full box, 1961 Fleer baseball near full box, 1961 Nu-Card Scoops near full box and 1961 Nu-Card Football near full box), I was trying to put a dollar value on the whole group when he hits me with “ and there’s a 1961 Fleer basketball unopened box.” I was already impressed at this point, but when he mentioned the 1961 Fleer basketball box, I said to him, “Aha! You buried the headline on me.” Actually, we still hadn’t reached the headline! 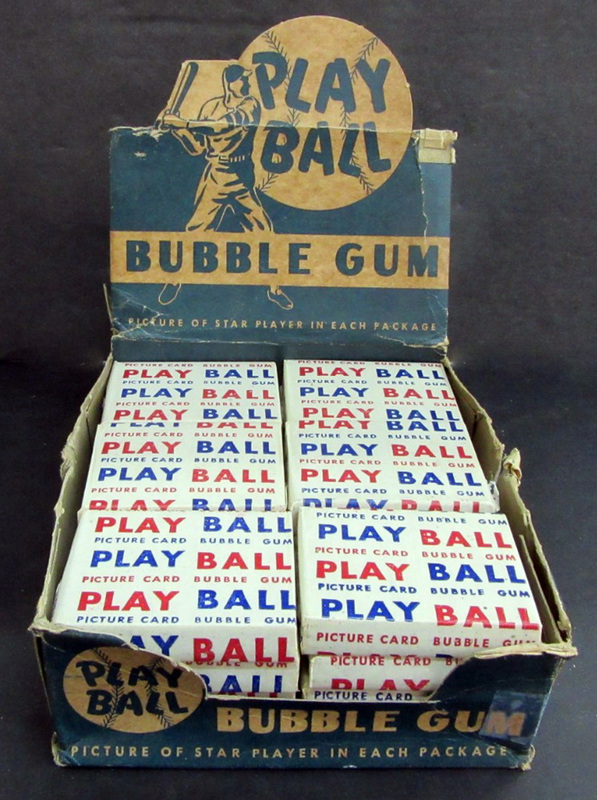 This was already the greatest compilation of unopened material I’d ever heard of, and then he said, “Oh, and I have a box, it’s only 19 of the 24 packs, but it’s a Play Ball box from 1948. Wait, no, it’s 1948 Bowman.” Now I’m starting to wonder if Brian (Drent, MHCC President and CEO) is trying to punk me. I said, “I’m sorry can you repeat that?” He said, “1948 Bowman. The box and the wrappers say Play Ball on them but it’s Bowman. There was an extra pack that’s open and it’s the little black and white cards.” Now I’ve never seen or even heard of anyone who has seen a 1948 Bowman pack, but he’s claiming to have 19 unopened packs and the original box (which I also have never seen or heard of). I had to ask the obvious question, “How did you come across all of this?” He told me it was left to him by a member of his family who owned and operated a confectionary company that produced trading cards in the 1950s and 60s, though not a competitor to Topps, Fleer or Bowman in the sports card market. A quick Google search confirmed it and he still lived in the city from which the company had operated. Realizing that this would require an in-person pick-up due to our quickly approaching deadline, I asked if we could call him back in 5 minutes and sprinted down the hall with my page of notes to Brian’s office. Brian was looking out the window while talking on his cell phone when I walked in. As he turned and caught my eye, I said, “You need to get off the phone now!” Looking slightly perplexed but still, I handed him the notes, still listening to the person on the other end of the phone. After a few seconds of perusing the paper, he said, “Listen I gotta call you back.” Brian looked at me as if now I’m trying to punk him, but once I explained the lineage of the collection, he was back on the phone. Fifteen minutes later, he was booking a flight to pick up the collection. 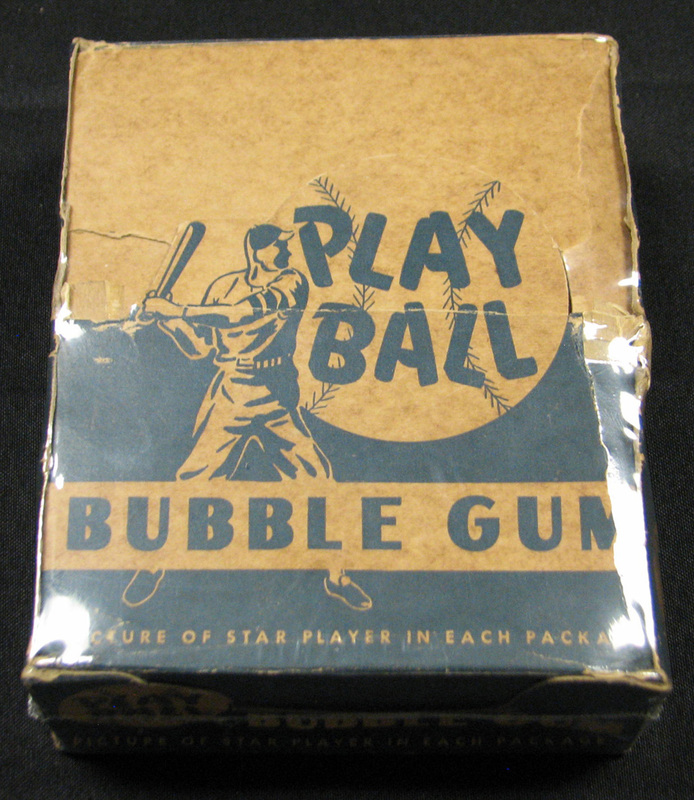 1959 Full Ted Williams full wax box – This one is extremely clean with NM/MT to MINT packs. 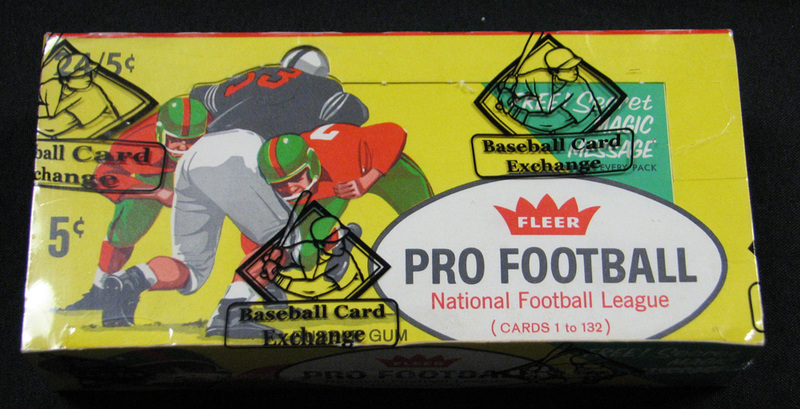 1961 Fleer football full wax box – Most boxes have been salted away in collections and don’t come out anymore. Packs are NM/MT. 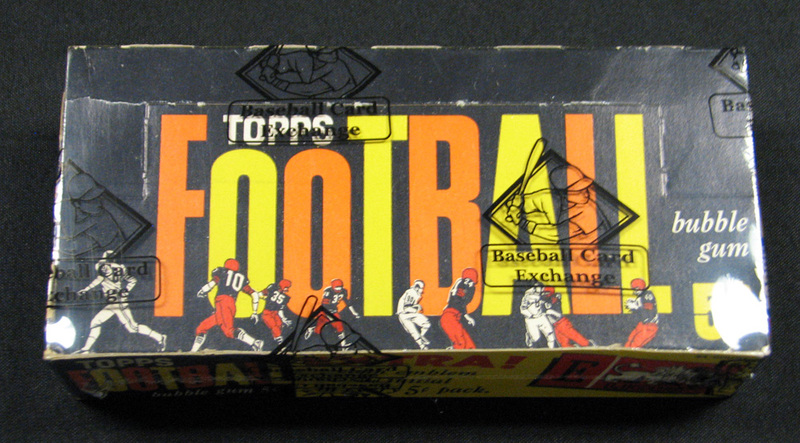 1961 Topps football full wax box – The crown jewel of the find (other than the ’48 Bowman). I’ve seen less than 10 packs and they are usually EX … I’ve never heard of a full box. These packs are NM/MT to MINT. 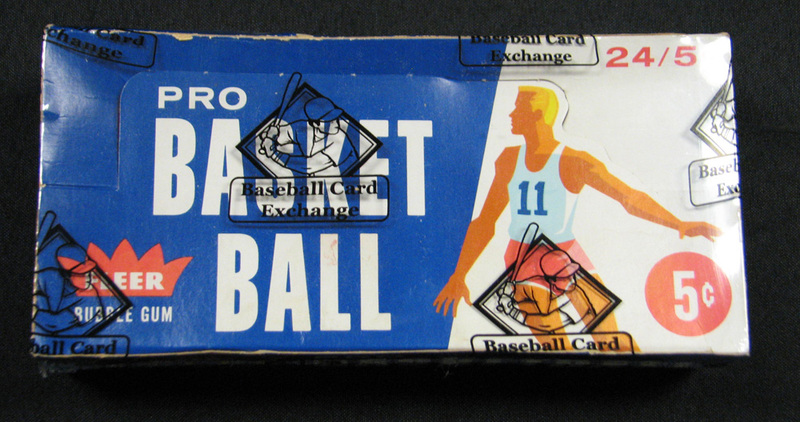 1961-62 Fleer basketball full wax box – Packs are NM to NM/MT and as fresh as can be. 1962 Topps football near full wax box (20/24) – Packs are NM/MT overall and sweet. 1960 Fleer Baseball Greats near full box (20/24) – Ten of the packs have mildew damage, the other 10 packs are NM to NM/MT. 1961 Fleer Baseball Greats near full box (20/24) – Packs are sweet and NM/MT. 1962 Fleer football near full box (19/24) – Packs are NM/MT and very rare. 1961 Nu-Card Scoops baseball near full box (23/24) – Packs are NM to NM/MT overall. Whether you’re a serious collector or just a curious bystander, this collection of unopened material will certainly be remember throughout the sports card hobby for generations to come. The Mile High Card Company Spring Auction will begin May 30th and conclude on June 15th. For additional information or to consign to an upcoming auction, please visit our website at www.milehighcardco.com or call our office at (303) 840-2784. Next Next post: 1933 DeLong: Baseball’s Ultimate One-Hit Wonder!